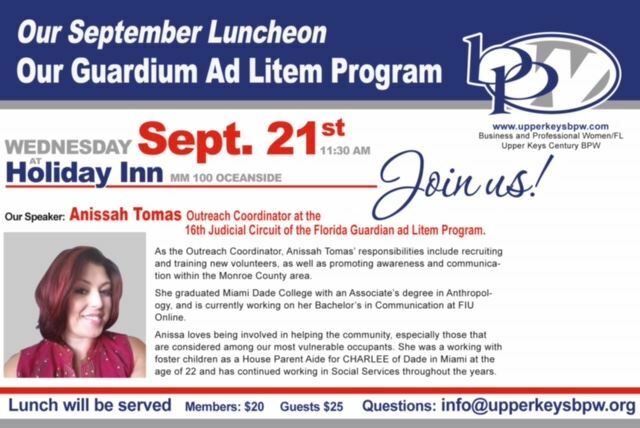 Join us this month as we welcome Anissah Tomas, Outreach Coordinator for the Guardian Ad Litem program. Anissah works throughout the Keys helping the volunteers and families in need. This is a great opportunity for us to learn more and share this knowledge with others! See you there!